Metanor Resources Inc. (Metanor) is pleased to announce the preliminary drilling results from the 1,200 m diamond drilling campaign at the Barry property, located 116 km from the Bachelor mill. 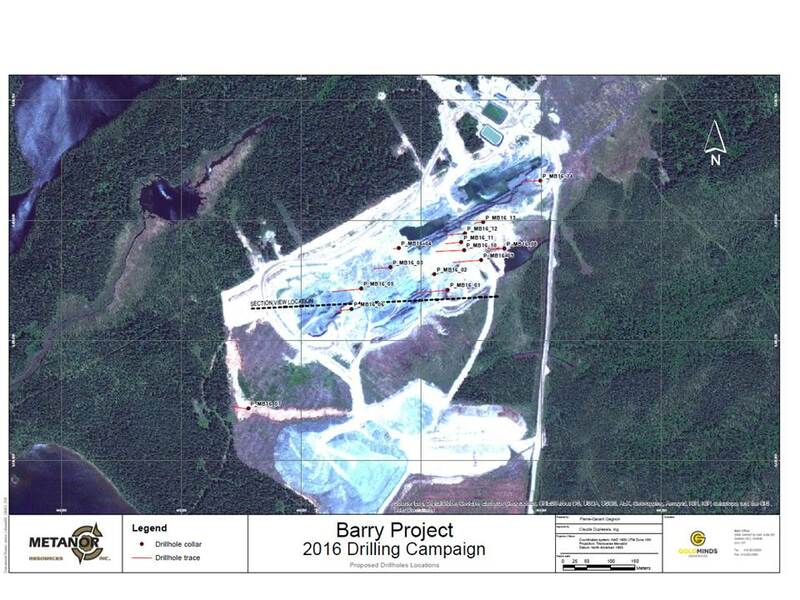 The drilling program at Barry aimed to test the extension of high grade mineralization and the new mineralization model proposed by GoldMinds Geoservices Qualified Person (QP), Claude Duplessis P.Eng. The drill program is almost completed. Previous modeling of the mineralization and estimation of resources was done under the basis that mineralization was striking North-East and dipping South East. Goldminds' analysis of the high grade mineralization using GENESIS © software has allowed the visualisation of 3 stacked oreshoots plunging East at 19 degrees over 225m strike length (open) inclined to the south at 49 degrees, these high grade zones are about 55-60m wide (25-30m true thickness-see figure attached) These high grade zones are located to the west and connect the west pit and the center pit in the East direction. 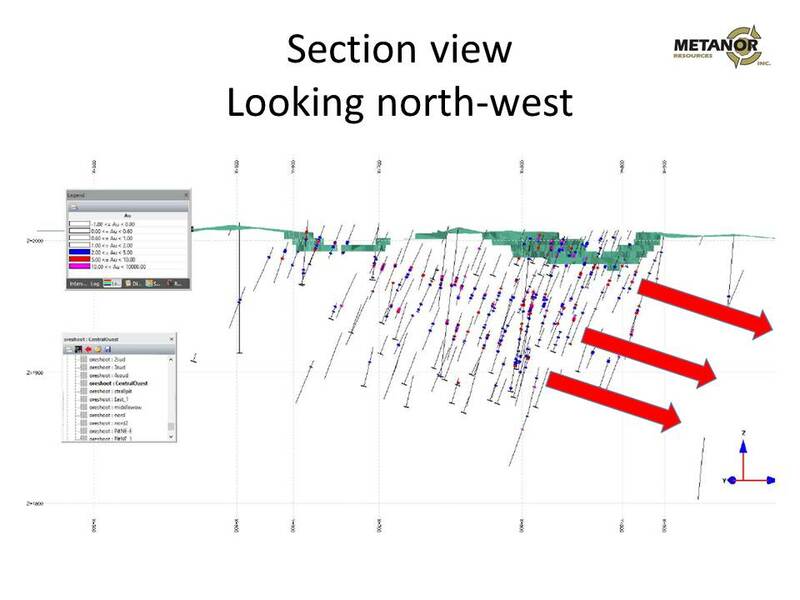 This trend was also tested in other sectors and Hole MB-16-14 located to the extreme East of the Main Pit demonstrates continuity of high grade mineralisation in that direction. Hole MB-16-07 located in the west outside the pit area has also shown mineralization of interest and is in line with limited surrounding holes. This will require additional drilling to define a possible new zone to the West.